With the holidays right around the corner, it’s time to start thinking of the perfect gift to give your friends and family this holiday season. This year, why not give the gift of magic? Mickey and his elves are making that easier than ever with the recent launch of Disney’s gift giving website. Sharing the gift of a Disney vacation is the ideal way to help your friends and family celebrate the holidays, special occasions and milestones. And it’s just one click away at the newly created GiveDisneyVacations.com. Here you can choose packages and tailor experiences at both the Disneyland Resort and Walt Disney World Resort theme parks, exotic Adventures by Disney vacations, unique Disney Vacation Club destinations, and sailings aboard Disney Cruise Line. Theme Park, Water Park and Special Event Tickets – Choose from a wide variety of ticket types. Everything from a ticket to Disneyland to a night at Mickey’s Very Merry Christmas Party. Vacation Packages – Build the getaway of your family’s dreams with immersive accommodations and experiences. Gift the magic of a Walt Disney World Vacation Package, a Disney Cruise, or even an Adventures by Disney Vacation. There’s even the option for Disney Vacation Club memberships. 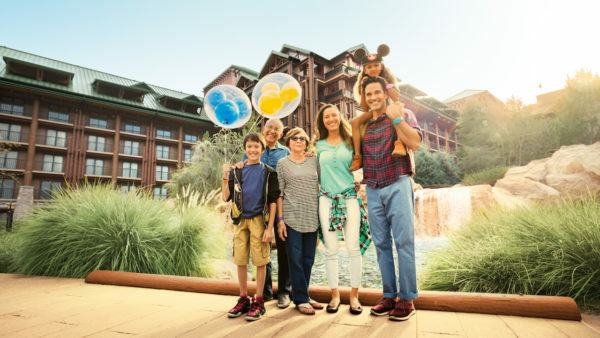 Disney Gift Card – Recipients can use a gift card throughout Disney Parks and at other Disney destinations to pay for just about anything—including hotel stays, meals, merchandise, spa treatments and even trips. The minimum Disney Gift Card purchase is just $25! And if you are in a rush, they can be e-delivered to save time. If you book a Walt Disney World Resort ‘Magic Your Way’ vacation package before November 15, you can present this gift of a lifetime to loved ones in a beautiful commemorative golden box with limited-edition Magic Bands included for everyone in your group. It’s sure to be the favorite gift under the tree!